In a medium sauce pan, combine 5 cups of water, with the sugar and lavender leaves. Bring to a boil. Once boiling, stir and cover. Then remove from heat and allow the lavender to steep until the mixture returns to room temperature. Squeeze the lemons, and removing any runaway seeds. When the “lavender infusion” has cooled, strain out the lavender leaves. 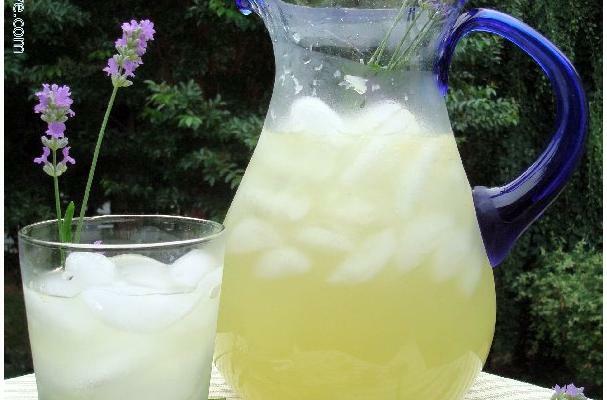 Pour the infusion, lemon juice, and another 5 cups of water into a large pitcher. Add ice and garnish with delicate lavender sprigs! I cut the lavender right out of my flower bed Then pulled the leaves off the stems, in the same way you would pull the leaves downward off a sprig of rosemary, saving the flowers for the garnish.